Taijul Islam, with ample support from the other spinners, tore through the Windies line-up, returning a brilliant 6/33 to power Bangladesh to a fantastic 64-run victory in the first Test in Chittagong on Saturday, 24 November. The home side's spinners got plenty of purchase from a dry surface on Day 3, and the Windies batsmen were just not allowed to build partnerships. The visitors crumbled to 139 in chase of 204, and Bangladesh secured their maiden home win against Windies. The day began with Bangladesh at 55/5 in their second innings, and the wickets continued to fall at an alarming rate. Only Mahmudullah was able to get some flow in his innings, scoring 31 to prop his side to 125 – Bangladesh's healthy 78-run first innings advantage meant the Windies had to chase 204 to win, a tricky ask given the nature of the pitch. Devendra Bishoo, the leg-spinner, was the pick of the Windies bowlers , taking four of the five Bangladesh wickets to fall on the day. Accuracy was his biggest ally as he visibly troubled the Bangladesh batsmen, but the prodigious turn he extracted was an early sign of the mayhem the Bangladesh spinners would soon cause. The Windies would have backed themselves to be competitive in the fourth innings, but the fight was knocked out of them far too soon – they went to lunch at 11/4. Shakib Al Hasan, the Bangladesh captain, provided the first couple of breakthroughs. Kieran Powell paid the price for trying to slog him out of the park first ball – he was stumped – and Shai Hope then got a faint nick when trying to defend one, falling for just three. 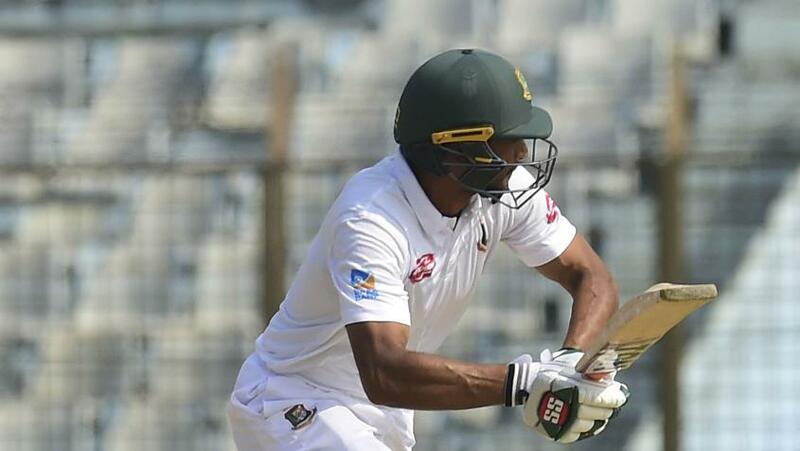 Bangladesh have reduced the Windies to 11/4 by lunch on Day 3 in Chittagong. 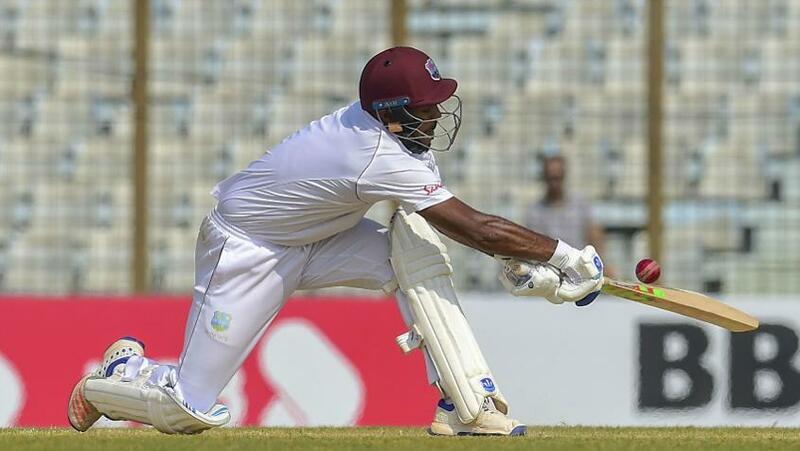 Kraigg Brathwaite and Roston Chase were then removed in the same over by left-arm spinner Taijul Islam, both making the mistake of staying back to deliveries that they could have smothered with a big stride in. Taijul proved exceptionally difficult to negotiate as he bowled flat and gave batsmen little time to react – he also found natural variation from the pitch, with some balls keeping straight. Shimron Hetmyer came out hammer and tongs after lunch, attempting to quickly transfer the pressure back onto the spinners. He made bit of a splash during his brief 19-ball knock, hammering three fours and a six before miscuing one to long-off for 27. Thereafter, Sunil Ambris showed some application, defending solidly and knocking singles and twos around where he could. But he lacked support at the other end. Devendra Bishoo had his timber disturbed by Taijul for just two, and when he then had Kieron Powell trapped in front, he had his seventh five-wicket haul in Tests. Jomel Warrican decided to have some fun in the middle, striking a series of lusty blows, mostly in the deep mid-wicket region. He then played more calculated shots, and together with Ambris, stitched up a fine 50-run partnership that concerned Bangladesh a bit. However, Warrican finally miscued a slog to mid-wicket off Mehidy Hasan, and fell for 41. Ambris was ruled out for caught behind moments later off Taijul, and that was that. The second Test will begin in Dhaka on 30 November.